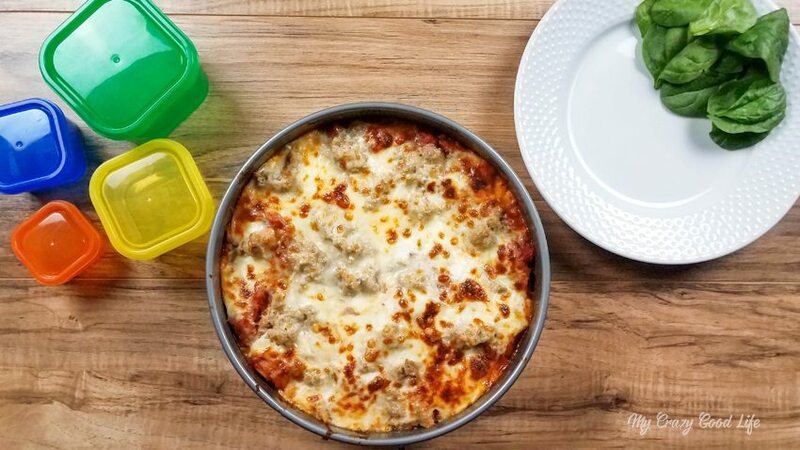 This easy Instant Pot lasagna recipe is the perfect healthier lasagna recipe for dinner tonight! It uses whole wheat noodles and spinach, and you can add more veggies if you choose. 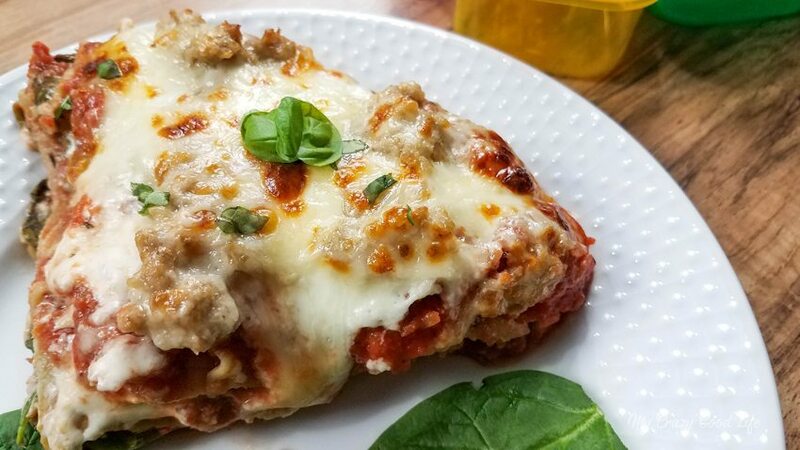 It’s a delicious 21 Day Fix instant Pot lasagna. Looking for the Weight Watchers version of this recipe? 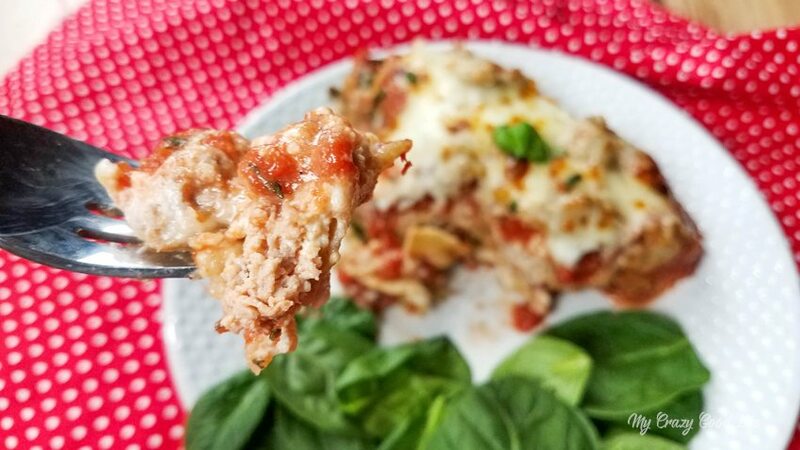 I’ve been searching for a 21 Day Fix lasagna recipe and I’m happy to report this is delicious! With the help of my Instant Pot this tasty meal is ready quickly; it will definitely be a staple in my 21 Day Fix meal planning for the future. 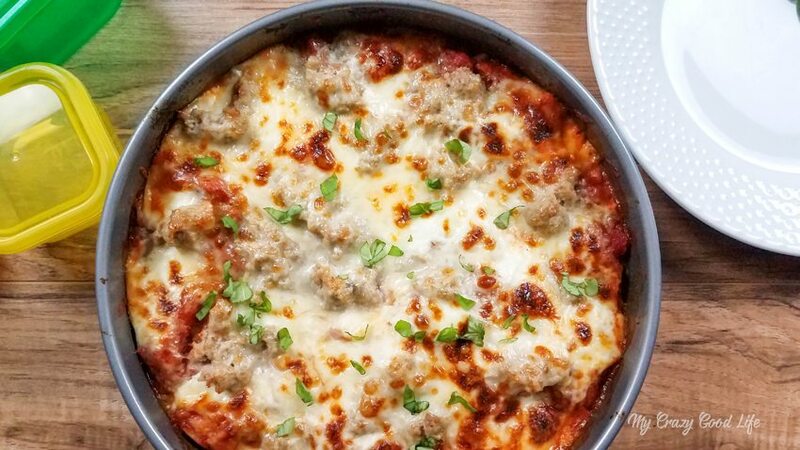 Can I make healthy lasagna in the Instant Pot? If you don’t already have an Instant Pot or another programmable pressure cooker I can’t recommend them highly enough. Quick meal prep, healthy meals that come together in just a few minutes, and the overall versatility make the Instant Pot a must have appliance in my home. In the past, even a quick lasagna recipe would be too much work on those busy school nights. After school, work, activities, the running around, etc. the last thing I want to do is put together an elaborate casserole that has to bake for an hour. This Instant Pot lasagna changes all of that! 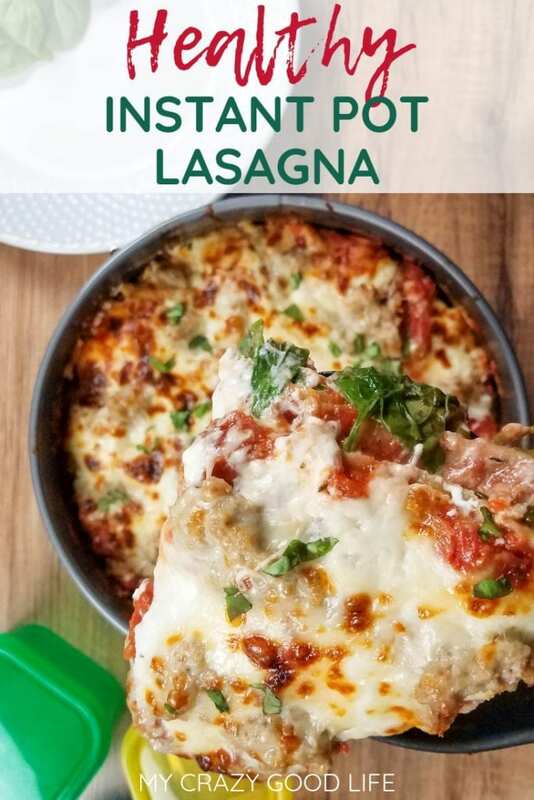 Is this a family friendly lasagna recipe? 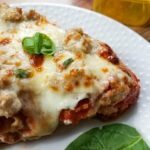 Finding a 21 Day Fix lasagna recipe that is delicious enough for the whole family to enjoy is fantastic. We all try and eat healthy but that is much easier to do when the healthy option is delicious! No need to make two versions of this meal for dinner, the whole family will LOVE it as is. How do I make a homemade lasagna pasta sauce? 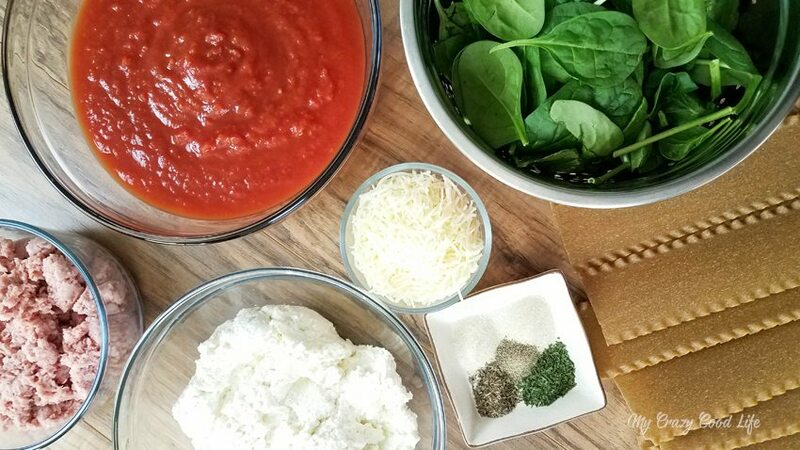 You have a few options with this lasagna recipe–you can use jarred sauce (look for low sugar), make your own with the recipe below, or use this Fix friendly delicious homemade pasta sauce. Your choice! When I’m in a hurry, I use Rao’s brand–but when I have the time I love to make my own with either of the above options! 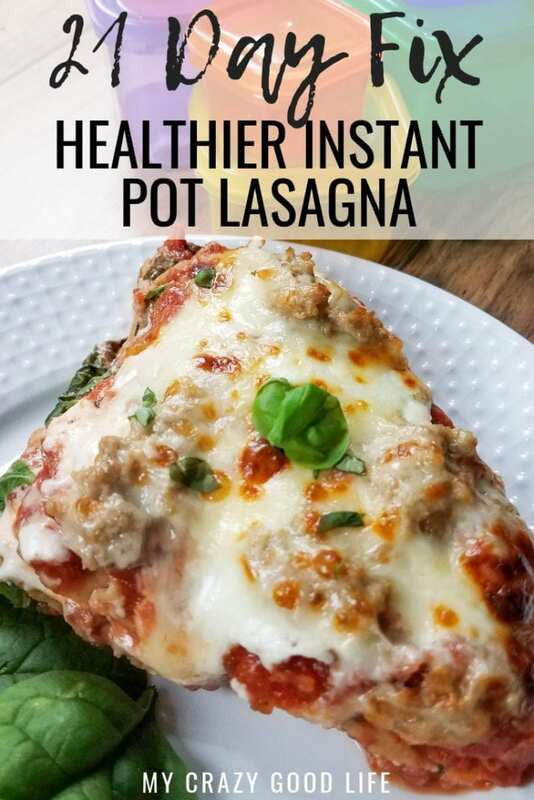 How do I make healthy Instant Pot lasagna? 1) In a large bowl mix Italian cheese and cottage cheese. In a separate bowl combine crushed tomatoes, thyme, parsley, pepper, onion powder, and garlic salt (or add your homemade or jarred sauce in now). 2) Add sauce to bottom of 7 inch spring form pan. Layer noodles, cheese mix, sauce, uncooked ground turkey, and spinach. Repeat till pan is full. You can also make this recipe right in your pot–readers have reported just adding an extra 1/2 cup of water to the pot in addition to the recipe so that the noodles don’t burn on the sides. Use TWO layers of noodles. This will ensure that your meal will stay with the container counts, and that it will fit in your pan without overflowing! 3) Top with cheese and cover with aluminum foil. 4) Fold a long piece of foil into thirds the long way to form a sling. This will make it easier to remove the pan from the Instant Pot when done. 6) Cook on high pressure using the manual setting for 35 minutes. Let pressure naturally release–all the way. If you remove the lasagna too soon the noodles won’t be done! 7) Remove lasagna from Instant Pot using the sling as handles. Remove the foil covering the lasagna and place under broiler to brown cheese. Top with fresh basil. 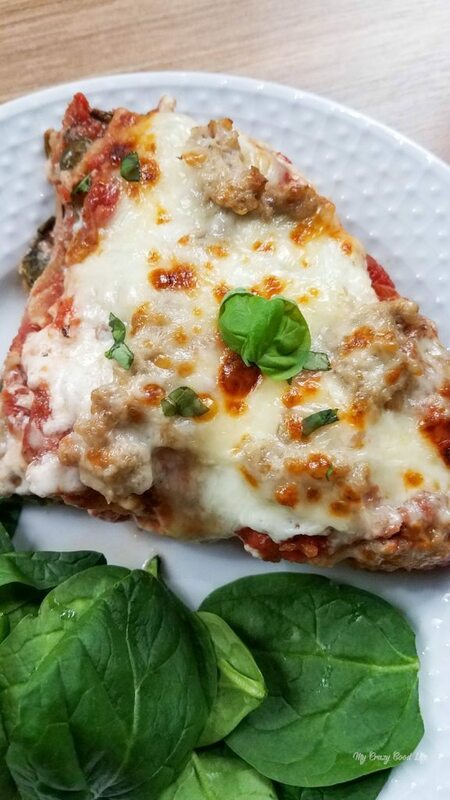 Is this healthy lasagna 21 Day Fix friendly? Don’t forget to adjust your cook times for different altitudes. I’m making recipes at 1,500 feet, see this chart for more info on cooking in the IP at different altitudes. 1 lbs ground turkey or beef thawed and broken into chunks or pre-cooked-it's up to you! 28 oz tomatoes crushed (NOT canned tomatoes–they have too much liquid in them) If you'd like to use jarred low-sugar sauce you can. 6 whole wheat lasagna noodles I used uncooked (not oven ready), but you can use oven ready whole wheat if you have them. In a large bowl mix Italian cheese and cottage cheese. Add sauce to bottom of 7 inch spring form pan. Layer noodles, cheese mix, sauce, uncooked ground turkey, and spinach. Repeat till pan is full. You can also make this recipe right in your pot, readers have reported just adding an extra 1/2 cup of water to the pot in addition to the recipe so that the noodles don't burn on the sides. Top with cheese and cover with aluminum foil. Fold a long piece of foil into thirds the long way to form a sling. This will make it easier to remove the pan from the Instant Pot when done. Cook on high pressure using the manual setting for 35 minutes. Let pressure naturally release all the way. If you remove the lasagna too soon the noodles won't be done! Remove lasagna from Instant Pot using the sling as handles. Remove the foil covering the lasagna and place under broiler to brown cheese. Top with fresh basil. Oh no! Tomato sauce is so finicky in the IP, it drives me crazy! Did you add the water to the bottom or the top of the lasagna? Could you bake this in the over instead of using an instant pot? If so, how long and what temp? I have a IP, got it for Christmas 2 years ago, but scared to use it! lol. Your recipes might convince me to unbox it, but I think I need to start with something easier. Thank you for this recipe. Will try today. Just a quick question, I know it says 6 serving. What container do i use to portion out the serving? Just trying to see how much i can eat. Hi Miya! This is a tricky recipe when it comes to portions–you literally have to cut the lasagna into six equal pieces. I’m BRAND new to InstantPot and confused on the instructions. To clarify: I can assemble the lasagna right in the pot and just add 3 1/2 cups over it once assembled? Does this mean the thing will just look like lasagna sitting in a bowl of water? Sorry for the dumb question.